Holy cow. 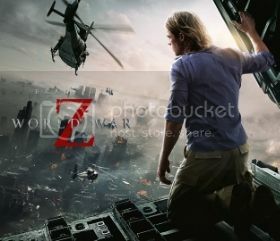 A few months ago, World War Z was headed towards Heaven’s Gate territory in Hollywood lore. At the pace it was on, there were going to be entire books written about its infamous production debacle. Supposedly legendary budget overruns, script re-writes, reshoots, release date changes, on-set calamities in foreign countries, everything and anything that could go wrong did, short of having a panicky or tempestuous star at the center. Critics and bloggers were sharpening their knives, with all signs pointing to a nightmare opening, another example of Hollywood excess gone bad. Instead, the opposite has happened. Reviews have been largely supportive, star Brad Pitt has enjoyed the biggest box office opening of his career and the once-doomed World War Z looks to have secured a sequel with a healthy $66 million opening weekend. Well, this kind of turnaround only happens when someone is committed to making it happen. And, in this case, the person being credited is producer and star Pitt himself. What’s interesting here is that Pitt has been in (and survived) bombs before (Troy, Seven Years in Tibet), but he wasn’t a producer then, so not only does he have more on the line here professionally, but he seems to take his producing role very seriously personally now. He takes great pride in making good movies and word around town is he is quite the perfectionist and is committed to never making a bad movie. So far, so good. Some of his credits as a producer include The Departed, Moneyball and The Tree of Life—not too shabby. So when Pitt’s Plan B production company bought the rights to Max Brooks’ bestselling novel World War Z (outbidding Leonardo DiCaprio, among others), I have to assume he never wrote it off as a summer popcorn money machine throwaway picture because that’s just not his style. But still, he had to have been tempted by what this movie, if done right, could mean for his career. Not only are zombies the hot thing now and the geopolitical elements in the novel would be beneficial to worldwide marketing, but this would be Pitt’s first real shot at an action franchise (what movie star doesn’t want one). He’s getting older, time is running out and Pitt, for all his movie star-ness and worldwide celebrity, still isn’t really known as a box office blockbuster draw. So he may have needed this more than we knew. So when things started to go south with the production and the script, Pitt stepped in. No matter how much he may have wanted an action franchise or to make a blockbuster to call his own, it had to be done right—or not at all. Word is it was Pitt who brought in Damon Lindelof, of Lost fame, to fix the biggest problem the movie had—the ending. Lindelof has become somewhat of a legend in Hollywood lately for swooping into projects to save them, often to mixed results, but there’s no question that his efforts here save the movie from the dustbin of history and turn it from what could easily have been a laughable mess to a much more coherent and entertaining summer thriller. And they say writers don’t do anything. As for the movie itself, World War Z is marketed as a zombie movie, but it is more of a worldwide disaster movie like Contagion or Outbreak, but without the slow, depressing parts. Pitt plays Gerry Lane, a UN employee whose job we aren’t quite sure of, but we figure out quickly that he’s really important as he is whisked away from scenes of zombie panic in downtown Philadelphia, along with his wife, played by Mireille Enos, and two young daughters. Gerry is convinced by others that he, and only he, can track down the source of the virus/plague that is sweeping the planet, so he sets off to root it out in order to save mankind. Yeah, it sounds a little Michael Bay Armageddon-y, but Pitt is able to bring the humanity and that all-important thing that always seems to be missing from these types of movies: soul. He does this in and around fast-moving scenes of people running and jumping, but he’s still really good at it. There’s something about the grounded nature of Brad Pitt, in his chaotic surroundings that is peaceful and calming. Why hasn’t this guy been an action hero before (unless Mr. & Mrs. Smith counts). Then there are the big action set pieces that realllllly stretch the imagination and push all boundaries of believability, but you just go with it and let the final act play out, where the movie gets rescued. Its intimacy is such a nice change from the pace of the first two-thirds of the movie and director Marc Forster is able to show off his skills in these quiet, tense scenes that are harrowing and well done. Oh, and about those zombies? Let me set the record straight here. This is not a zombie movie. Until the last section of the movie, if you blink, you will literally miss them. The result here is special effect overload. True zombie fun (and fear) comes from close interaction with zombies and there is little of that. Mass hysteria rules the day in World War Z and much of it is poorly executed, sometimes even silly. Look, this movie is far from perfect. Anybody looking for zombie-killing will be sorely disappointed, as filmmakers are totally committed to their PG-13 rating, which means no gore (sorry, Walking Dead fans), and the special effects are actually more distracting than they are compelling. But I was happily surprised by a story with substance and it ended up playing less like a mindless action movie and more like an investigative horror movie with a detective who’s easy to root for. I’m not sure that’s really what they were going for, but oh well. They all get an A for effort. Especially Brad Pitt, without whom this movie would have failed miserably, on every possible level.